Ordinary Video Door Phones provide incomplete protection. Crystal VDP with Alarm function interfaces with a range of Wired & Wireless Sensors for intrusion & panic detection. 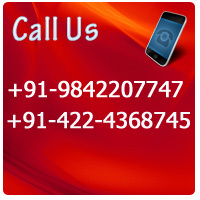 In case of an alarm Crystal VDP will activate panic ringing / external hooter / auto SMS to predefined mobile phones / trigger panic to connected Crystal guard security system, plus a host of other advanced functionalities. Telephone Function: Crysal VDP features a telephone handset and a telephone dial pad to work like a telephone instrument. High Quality Coloured TFT-LCD: Crystal VDP uses industry's best coloured TFT-LCD display to give unmatched picture quality. Ergonomic Design: Crystal VDP has been carefully crafted along with other design aspects to blend seamlessly with modern interiors. Crystal VDP features a telephone Style Key Pad for programming. 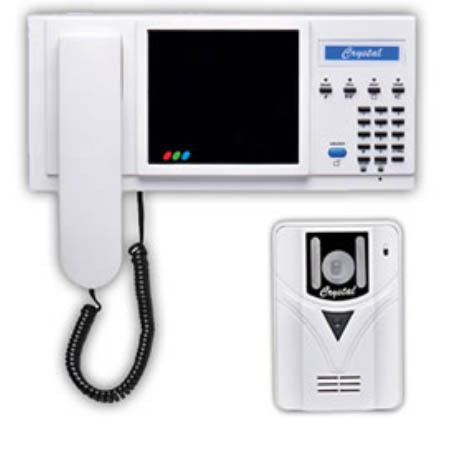 Crystal VDP can connect a standard 'Door phone outdoor unit' with camera and lock open facility. Crystal VDP can operate an optional 'Electronic Door Lock' to open the door. A built in safety feature prevents accidental opening of the door if the unlock button is pressed by mistake. This feature can be activated by a panic button. Apart from the build panic Button on the Crystal VDP any number of additional panic button's can be installed in any flat-say in the kitchen, one near the entry door, one in the bedroom etc. Whenever switch is pressed, the Crystal VDP will start 'panic ringing' & will turn on the optional Loud emergency siren/ Hooter. An Optional External Loud Siren can be connected to the Crystal VDP to Alert the neighbours in case of Panic/ Alarm.